Kaley Cuoco Got Married To Ryan Sweeting On New Year's Eve! Kaley Cuoco and Ryan Sweeting got married last night on New Year's Eve. Kaley and Ryan said their "I Do's" at the Hummingbird Nest Ranch in Southern California in front of a small group of friends and family. Kaley shared a photo from the night on her Instagram account, writing "Yep 🙂 #thesweetings." 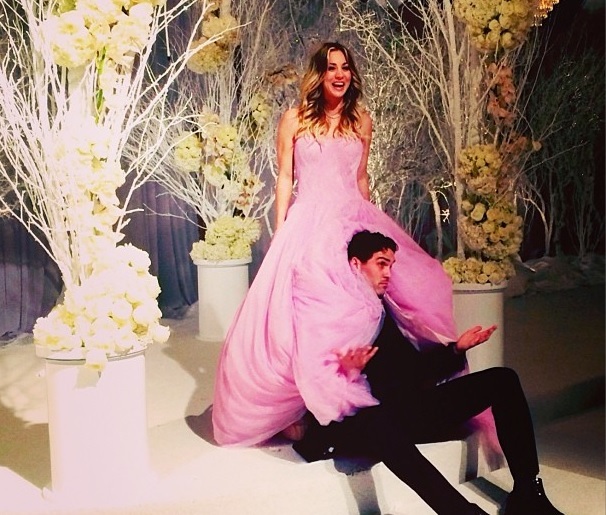 The Big Bang Theory star wore a pink tulle gown with a sweetheart neckline made by Vera Wang. Ryan, a tennis pro, popped the question back in September after just three months of dating.